One hundred years ago, Tampa Heights was developed as the first suburb of Tampa, one hundred years later, the neighborhood is experiencing resurgence as downtown's newest, oldest suburb. Tampa Heights glorious past sets the stage for the renaissance now taking place. 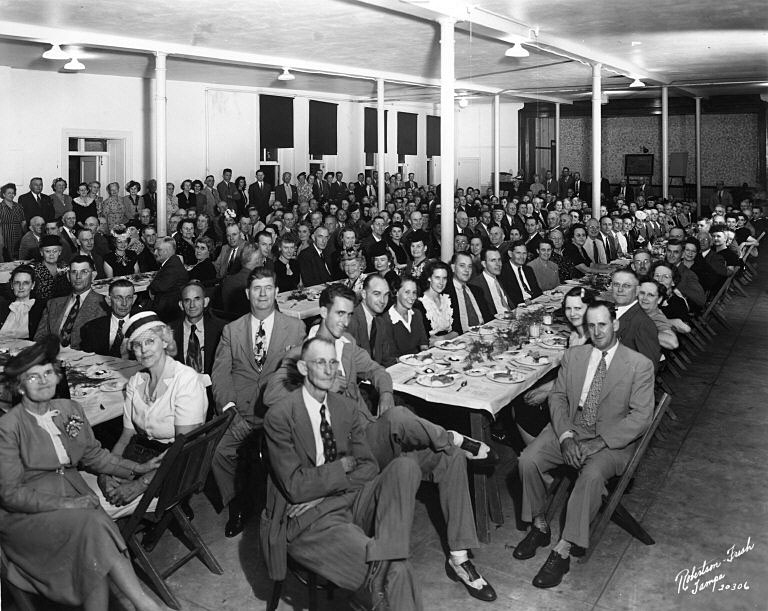 Established in the early 1880's, notable "Heights" residents included Judge Robles, W.B. Henderson, and Wallace Stoval, founder of the Tampa Tribune. Thomas Puch Kennedy, the son of the one of Tampa's earliest pioneers is credited with naming Tampa Heights when he moved just one mile north of downtown to the 'Highlands.' Thus began downtown residents' first flight into the suburbs. 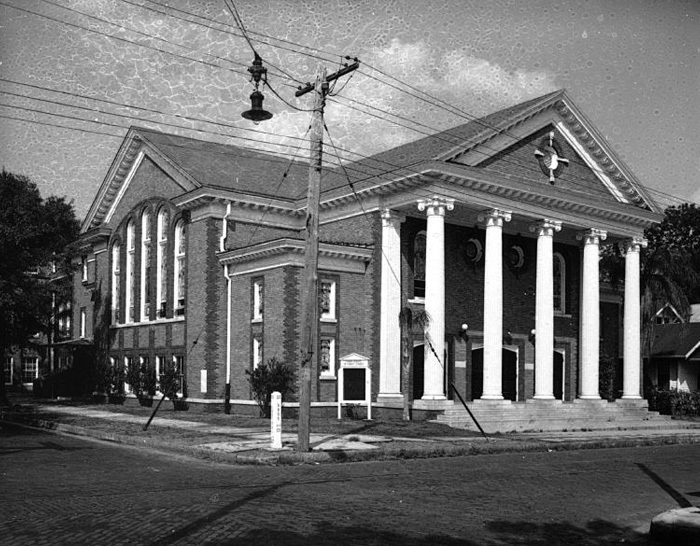 Constructed in 1910, the Church served the historic Tampa Heights neighborhood. Located just north of downtown Tampa, Tampa Heights was home to the wealthier merchants who had businesses downtown or in nearby Ybor City including the Blakes, the Giddens, the Linebaughs and the Mabrys. The building was constructed in the Greek revival style. The exterior is orange brick with many wood details. Massive concrete fluted columns flanked the entry. 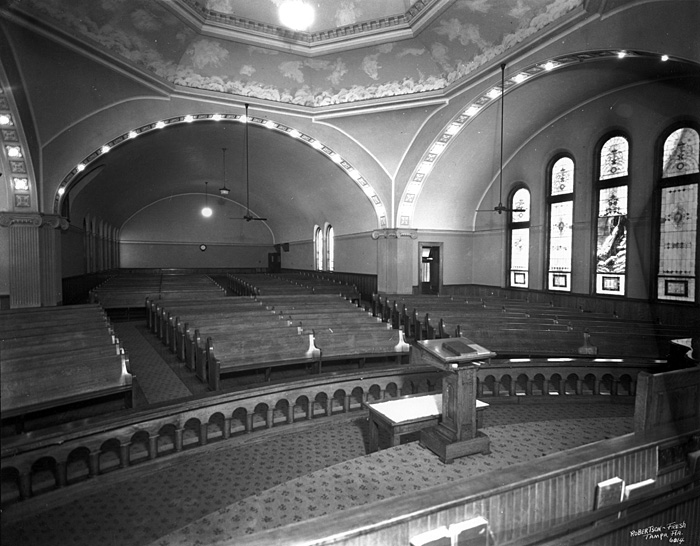 The interior shows many fine examples of woodworking. The floors, stairs, railings and moldings are heart pine with all of the sanctuary furnishings constructed of quarter sawn oak. 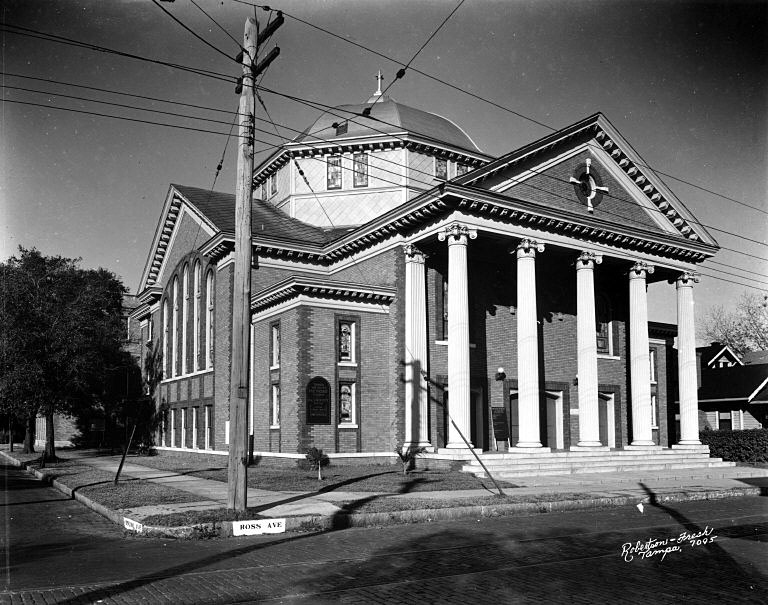 The three-story Blake Memorial Sunday School building was built to the north of the church in 1927 by Tampa Architect Frank Winn. 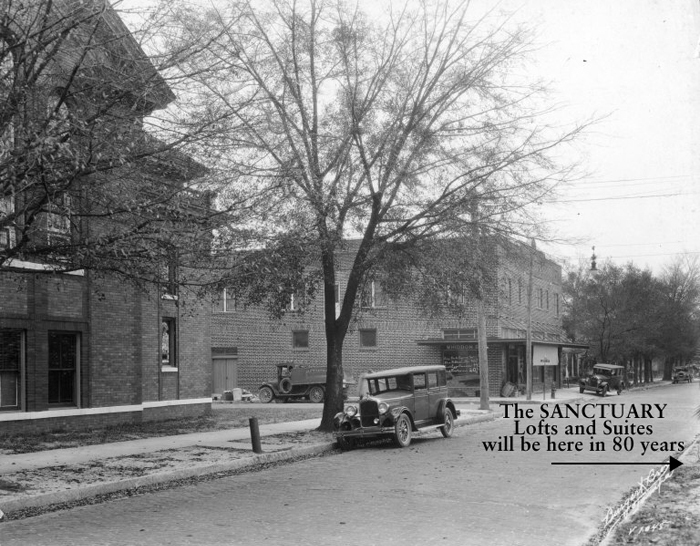 Almost 100 years later, The Sanctuary is now one of the few surviving outstanding examples of turn of the century Greek Revival architecture with its distinguishing dentil and modillion cornices, classic fluted columns with Corinthian capitals and pedimented gable entrance. The building also boasts classical round windows with keystones as well as the original leaded and steel stained glass windows. 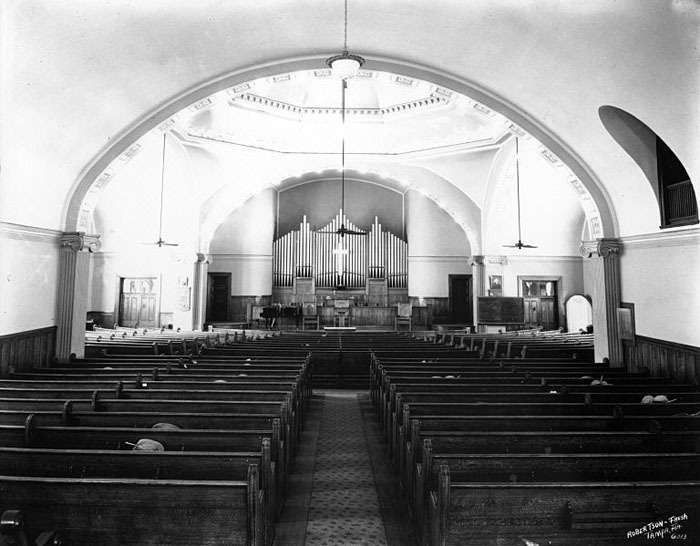 Later renamed the Hyde Park Methodist Church, it was finally closed in the late 1980's as the neighborhood declined. With the resurgence of Tampa Heights, the building was renovated into offices and loft apartments. This building was selectively deconstructed in April 2002 to salvage the historic materials. The Tampa Heights Civic Association's website can be accessed at www.tampaheights.org. There you will be able to access detailed information on the history of Tampa Heights. We invite you to read the "Overview of Tampa Heights History" located in the "History" section to gain a better understanding of the historical significance of Tampa Heights.